Named "Most Influential Christian in America"
The ever-optimistic megachurch pastor and televangelist Joel Osteen is coming to a city near you! Make plans now to attend one of these inspirational nights of hope, worship and encouragement in cities across America. 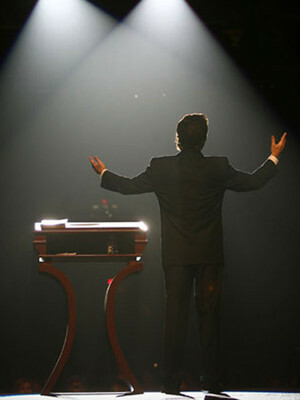 Each evening will include a worship music session led by the church's music ministry as well as a sermon from Osteen. 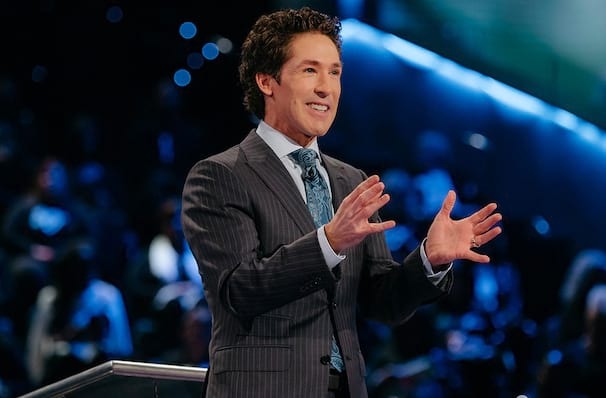 Joel took up the mantle of preacher in 1999, just after his father and the founder of Lakewood Church John Osteen died. With perseverance, hope and dedication, he has turned his father's legacy into one of the fastest growing ministries in America. Joel is also one of the most watched inspirational figures and with a message of peace and positivity, it's easy to see why! Sound good to you? Share this page on social media and let your friends know about Joel Osteen at Talking Stick Resort Arena. Please note: The term Talking Stick Resort Arena and/or Joel Osteen as well as all associated graphics, logos, and/or other trademarks, tradenames or copyrights are the property of the Talking Stick Resort Arena and/or Joel Osteen and are used herein for factual descriptive purposes only. We are in no way associated with or authorized by the Talking Stick Resort Arena and/or Joel Osteen and neither that entity nor any of its affiliates have licensed or endorsed us to sell tickets, goods and or services in conjunction with their events.